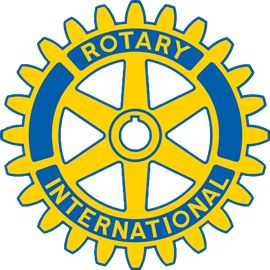 The mission of our Rotary Club and our fellow 1.2 million Rotarians worldwide, is to serve those in need locally, nationally and internationally. Our motto is “Service Above Self” which we strive to apply to our club's current projects. They include: supporting the Backstretch Employees Service Team at the Belmont Racetrack, an ongoing children's book drive with books donated to local hospital pediatric groups, blood & food drives, awards for elementary and high school students, a clean water medical solar project in Haiti, support of the Newtown, CT Rotary Club Foundation, each spring a youth leadership academy for local high school sophomores , a free dictionary project for third graders, Polio Plus (to eradicate polio from the earth), Gift of Life (bringing children from lesser developed countries for open heart surgery), distribution of ID Kits to encourage child safety, maintaining Rotary Park at the corners of Atlantic, Verbena and Tulip Avenues in Floral Park, NY, supporting Big Brothers & Big Sisters, and helping returning veterans acclimate and find careers. The Floral Park-Bellerose Club was chartered on August 3rd, 1955 and is one of 32,000 clubs in 200 countries and geographic areas. We welcome those interested in making a difference, giving back, making new business and career connections, as well as having some fun along the way. Please come down and share with us at 5:30pm on the second Tuesday of the month in the rear room of Trinity's Restaurant, 190 Jericho Tpke., Floral Park, NY 11001. For more information please call Publicity Chair, Rich Burgess at 516-554-2716.